Good negotiators know to negotiate the issues and not the people. But when pressure builds it is more often people’s feelings, expressed and repressed, that hijack agreement. To increase your success at bargaining, or any difficult conversation, you must be skilled at recognizing, managing, and even leveraging emotions – yours and the other side’s. Best Negotiating Practices: Managing Emotions as You Negotiate workshops give participants practical tools for understanding and managing emotional triggers and reactions. A typical negotiation workshop focuses on process and skills, with some attention to people. This workshop focuses on the people, with a quick review and reference back to the negotiation process and bargaining skills. We translate the latest thinking on emotional intelligence into practical advice for negotiators. Managing Emotions as You Negotiate reinforces new concepts by having participants critique licensed movie clips from popular films with powerful negotiation scenes that drive the lesson in memorable ways, and apply new strategies to a bargaining scenario relevant to their every-day work environment. Through both reflective exercises and interactive role play, participants learn how to develop their own emotional intelligence, stimulate positive emotions in themselves and others, and manage negative emotions that arise as you negotiate. An understanding of how to recognize and tap into the emotional build-up in yourself and others, even when the emotion is being repressed. 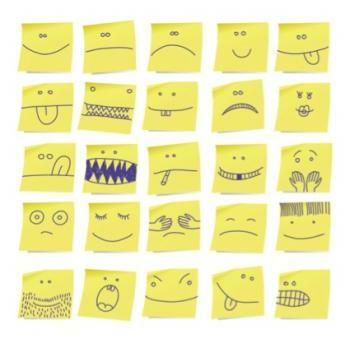 Practical tools and strategies to turn negative emotions and the resulting competitive attitude into positive emotions that result in a cooperative attitude. The ability to use the power of emotions to overcome hurdles as you negotiate. The pathway to enhanced emotional intelligence, critical for the other side to perceive your sincerity in emotions management. The ability to produce results built on emotional power and not in spite of it. Minimum one-day workshop in negotiation process and skills, preferably Watershed’s Best Negotiating Practices: Create and Capture Value as You Negotiate. Learn more about the impact of emotions in negotiating in Watershed's Negotiator's Learning Center. ...It was the best training I think we have had in a long time. It was a good balance between theory and practice.